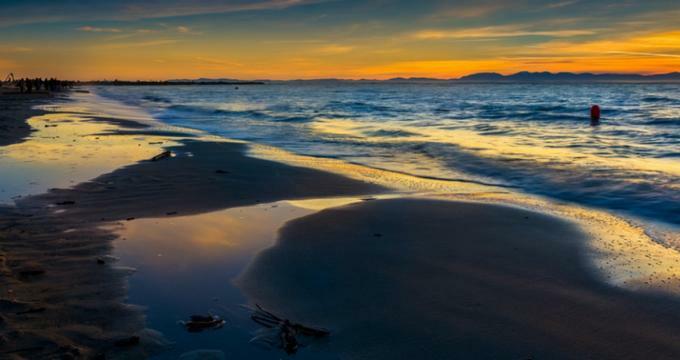 Explore British Columbia, Canada wine country, visit beautiful Vancouver Island, check into a B&B with views of a scenic lake, and enjoy romantic walks through wildflower gardens. Some of the properties on our lists feature Jacuzzi suites, private patios and other luxury amenities. The Two Eagles Lodge sits on an extensive 12-acre property complete with three horses and plenty of wildlife for guests to admire. Each room at this lodge has a private entrance as well as a private bathroom and excellent views. There is also a larger 950-square-foot suite with a balcony for those who need a bit more space. The rooms all have a television and DVD player, bath tub and shower, toiletries, and hair dryer. Guests can borrow an iron with ironing board. There is a shared lounge with books and games plus a kitchenette with a coffee pot, microwave, and fridge for basic cooking needs. There is even a barbeque for guests to use. With 12 acres of land, this hobby farm has lawn chairs, hammocks, decks, horses, hens, an outdoor fire pit, and more for visitors to use. There is also an outdoor hot tub. Guests can enjoy a hot breakfast with fresh eggs in the morning, or if they prefer, they can create their own from cereal, breads, fruit, and more. You can also ask for a breakfast to go if you need to leave earlier in the morning. Crystal's View Bed & Breakfast is a peaceful getaway with European influences. The rooms are tastefully decorated, bright, cozy, spacious, and have views of the ocean or downtown Vancouver. Each of the three suites is well appointed and has features like a TV with DVD player, stereo system, phone, hair dryers, guest slippers, bath robes, air conditioning, irons, Egyptian cotton sheets, and hypoallergenic duvets. You can also find a comfortable sofa, a generous closet, bathroom sky lights, double Jacuzzi tubs, a Double Ultra Thermo-masseur bath and shower, antique desks, hardwood floors, electric fireplaces, and a turn-down service. Laundry services are available and there is free on-site parking. Upon arrival, guests receive espresso, cappuccino, or tea as well as homemade sweet treats. There is almost always access to freshly baked cookies. The innkeepers provide a full concierge service, helping guests book spa packages, make restaurant reservations, plan tours, and more. Breakfast is a three-course affair with home-baked muffins, freshly brewed coffee, and a hot entrée. Guests can further customize their experience with a romance package or a tour package. 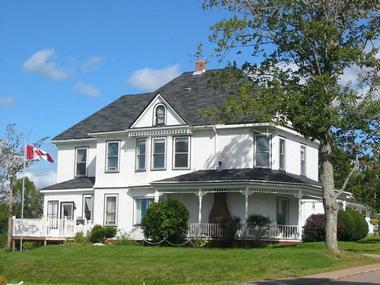 Long Lake Waterfront Bed & Breakfast is a popular destination for relaxation and waterfront activities. 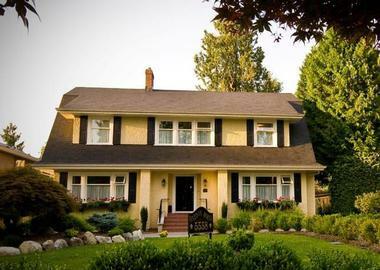 This bed and breakfast also serves as a great base to explore nearby activities such as those on Vancouver Island. Every suite has a lake view along with a queen or king-sized bed. Other in-room amenities include en-suite bathrooms with showers and/or Jacuzzis, fridges, TVs with DVD/Blu-ray players, mini fridges, plush robes, CD players, hair dryers, gas fireplaces, and air conditioning. In the guest lounge, you will find games, a private outside entrance from the deck, and a microwave. There is a computer kiosk and complimentary wireless internet throughout. The common waterfront area is perfect for swimming and has kayaks, a canoe, and a pedal boat for guests to use, or you can go fishing in the lake. Breakfast is served daily in the guest lounge and includes a hot entrée, refreshments, and fresh fruit. The innkeepers also serve as concierges for guests. Golden Dreams is a relaxing bed and breakfast with suites available for those who need some extra amenities. Its location in the charming city of Whistler puts you close to hiking trails, golfing opportunities, mountain lakes, and more. Rooms receive daily housekeeping and have access to local telephone calls. 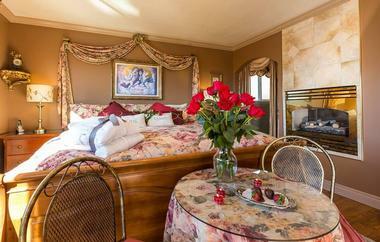 There are five B&B rooms with space for two to five guests and a suite that fits three. Specific amenities vary by room, but may include a window seat, a fully equipped kitchen, gas fireplace, private balcony, leather armchair, en-suite washer and dryer, complimentary sherry, sandals for use with the hot tub, and a TV with DVD player. Bathrooms are either en-suite or shared with one other room. International guests will appreciate the range of languages spoken by the hosts as they are fluent in English, French, and German. 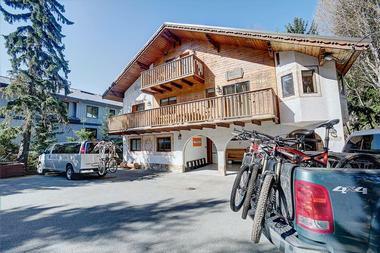 The entire inn has wireless internet and you will find outdoor ski racks, secure mountain bike storage, off-street parking, and a heated glove or mitt-drying area. There are always snacks, tea, and coffee on hand to keep you refreshed. The Eagle Lodge has a hot tub and cardio room which guests are welcome to use. A View Of The Lake bed and breakfast is also a demonstration kitchen so you can relax and enjoy delicious food in a peaceful environment and even learn some new cooking skills. There are four contemporary bedrooms to choose from, each of which has an amazing view, private lounge, guest entrance, and patio. The rooms have quiet air conditioning with individual thermostats and the choice of king, queen, or twin beds. Expect security safes, quality linens, comfortable towels, and private en-suite bathrooms with soft robes, toiletries, and hair dryers. The building has free wireless internet and guests can relax in the dining room or the balcony. The guest lounge always has refreshments on hand. The daily breakfast is a gourmet three-course affair cooked by Chef Steve and made with locally grown produce. Enjoy the meal on the patio or in the dining room. Upon arrival, guests receive a complimentary drink. 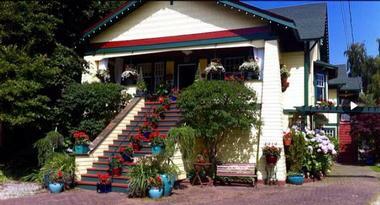 Clair’s Bed and Breakfast was built in 1922 and maintains much of its original Art Deco charm with modern amenities. The six rooms and suites have private en-suite bathrooms and televisions with cable. Other amenities include comfortable full-length dressing gowns, antique wardrobes, claw foot tubs, upholstered benches, private sundecks, and the choice of a room with king, queen, or twin beds. Guests can also watch TV in the guest parlor or relax by the fireplace. The front deck is the perfect place for relaxation and socialization in nicer weather. There is also a relaxing parlor with Italian provincial furniture and a small library as well as a salon with a fireplace and a 1886 piano. This inn is an easy walk to local attractions like restaurants and activities such as bird watching, biking, golfing, horseback riding, and river cruises. Clair is a gourmet cook and prepares a full breakfast each day which is served in the dining room. There is also a coffee station so you don’t have to wait to get caffeinated. Clair can accommodate special diets with notice and there is a gluten-free menu as well. Guests can also opt for an earlier continental breakfast. You can ask for a picnic lunch with advance arrangements. Beachside Garden B&B offers guests easy access to walks or other activities along the beach as well as luxurious accommodations. The building was custom-built and sits on a full acre of land. Each of the guestrooms has a view of the ocean, a queen-sized bed, a TV, an en-suite bathroom, and individual heating and air conditioning controls. Each of the three rooms has a unique décor. Guests can explore the property or take a walk along the beach, which is literally steps away from the bed and breakfast. There is a gazebo as well as two gardens to walk through, one of which is ideal for watching marine and sea life, including otters and bald eagles. The bed and breakfast is right next door to and connected to the owner’s residence so guests can choose to be as private as they want. The bed and breakfast has a dining room, microwave, fridge bar, picnic area, lounge, barbeque, wheelchair accessibility, and wireless internet. There is also a sheltered walk-on beach that is perfect for sunbathing, scuba diving, and other activities. The Canyon Ridge Lodge provides a relaxing atmosphere to unwind with nature while still being close to local attractions. Each room at the Canyon Ridge Lodge has an en-suite bathroom for convenience and privacy. There is also a self-catered apartment for extended stays known as the Purcell Suite. Rooms have amenities like iPod docking stations/alarms/clock radios, wireless internet, white fluffy towels, hair dryers, 42-inch flat-screen TVs, underground heating, and an individual thermostat. Conveniently located between two of the most popular wineries in the area, A Lakeview Heights B&B is ideal for those looking to explore world-class restaurants and wineries. 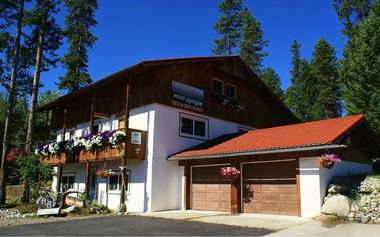 Guests can stay at this Okanagan Valley bed and breakfast all year round to enjoy the range of activities available. There are three guest rooms to choose from, with features like en-suite bathrooms, king or queen-sized beds, Jacuzzis, flat-screen HD TVs, fridges, microwaves, in-room coffee, secured Wi-Fi, quality linens, down duvets, luxury lobes, ironing facilities, and complimentary toiletries. The deck has a 180-degree view to enjoy nature or you can warm up by the fireplace within the guest lounge. The day begins with a professionally presented and prepared gourmet breakfast in the dining room which you can also enjoy on the shaded view deck. Upon arrival, guests receive a welcome beverage. The Elm Tree Farm Bed and Breakfast lets guests connect with nature on a ten-acre working hay farm with plenty of privacy. The B&B accommodation, located in a separate building by the creek, is perfect for bird watching and is new and beautifully decorated. There is air conditioning throughout and the inn consists of two adjoining rooms. Each has a large bedroom with a queen-sized bed and a full private bathroom. The rooms are available individually or together, in which case a futon the size of the double bed in the living room can increase the capacity to six people. Guests can also stay in a studio suite with a queen-sized bed, sitting area, kitchen, and full bathroom plus a pull-out bed within the living area as well as a private deck. The units share a living room and kitchen with a full-sized fridge, microwave, and stove. There is also cable television and wireless internet. Guests can sit on the breezeway and watch birds and ducks in the creek. You will find a hot tub along the deck as well. The bed and breakfast is incredibly close to the International Hike and Bike Trail and the Okanagan River so you can walk to these outdoor activities. The Anchors Inn has been hosting guests for 14 years and offers a choice of two cabins or a suite. 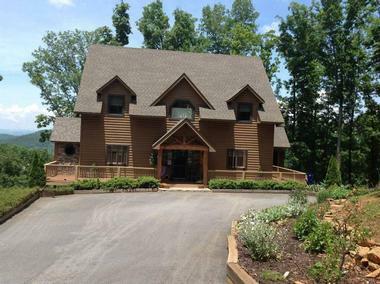 The suite is larger than the cabins and is perfect for those who want a full bathroom, kitchen, separate bedroom, propane fireplace, and private deck with a hot tub and barbecue. The cabins are self-contained, with queen-sized beds, three-piece bathrooms, excellent views of wildlife, large sundecks featuring bistro sets and two-person jetted soaker tubs, barbeques, towels and linens, flashlights, CDs, hairdryers, candles, cooking facilities, TVs with DVD players, electric fireplaces, wireless internet, and down duvets. The Lakeshore Bed & Breakfast is designed for guests to relax and do as much or as little as they want. The two guest rooms have en-suite bathrooms, queen-sized beds, electric fireplaces, central air conditioning, ceiling fans, and sitting areas. 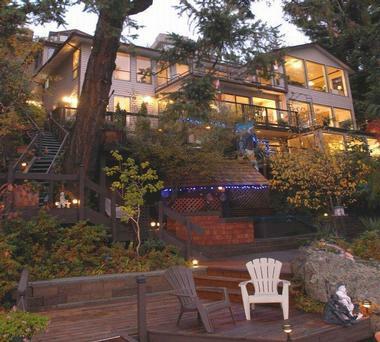 Some also have balconies and full-sized bathtubs. Both rooms have heated tile flooring in the bathroom for comfort in all weather. Guests can go swimming, take a walk, paddleboard, or kayak. The bed and breakfast is right on the beach for easy access and there are gorgeous gardens and an extensive deck on the property as well. The day begins with a homemade breakfast with seasonal fruit, cereal, yogurt, a baked good, homemade jelly or jam, and of course a hot entrée. Right in Vancouver’s downtown West End you will find the West End Guest House, giving guests comfort and easy access to local attractions within a short walk. This inn has been hosting guests for almost 30 years and the building itself dates back to 1906. It was recently refurbished so you will enjoy the modern en-suite bathrooms and wireless internet. There are seven guest rooms with their own unique style that mix antique and contemporary furnishings. Each room has a private bathroom, terry or lightweight Turkish towel robes, ceiling fans or skylights that open, and color flat-screen TVs with cable and DVD players. Two rooms can also be used as suites with separate sitting rooms. Guests have access to the complimentary butler’s pantry stocked with refreshments. There is also off-street parking, a copy service, a printer, a parlor with fireplace, a sundeck, and a verandah along with an intimate garden. The daily breakfast includes freshly baked goods, fresh orange juice, fresh coffee, a smoothie, a fruit course, and the main course. Special diets can be accommodated with notice. River And Rose B & B is surrounded by wild flowers, trees, and English gardens along with a babbling brook and pond. The suite has a full en-suite bathroom that includes a shower and Jacuzzi along with a queen-sized bed and a full sofa bed, a flat-screen TV with a Blu-ray player, and a bedside fireplace. The room is screened and air conditioned for comfort. The inn also has an iPod dock, small beverage fridge, slippers, robes, hair dryers, and toiletries. Guests can relax on the full sun balcony or enjoy the river and garden seating. There is also a living area and a dining area as well as off-street parking, a printer, and free wireless internet. Enjoy the barbeque or patio or make use of the fire pit, which is supplied with free wood. The included breakfast can be adjusted to meet your dietary needs and is made using local and fresh ingredients. 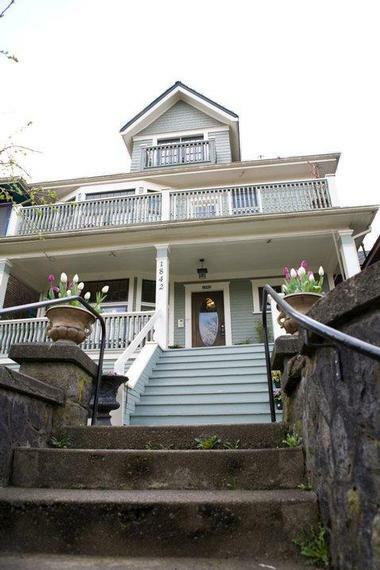 Bee & Thistle Guest House is in a historical 1908 home in the commercial drive area of Vancouver, giving guests easy access to local attractions and more. 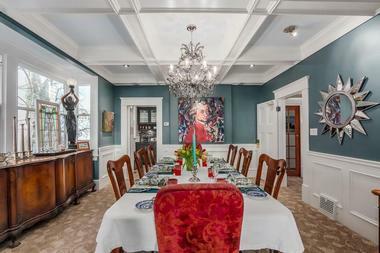 The building combines historical charm with modern amenities and plenty of privacy. You will notice vintage lighting and windows, antique woodwork, and original stained glass. The rooms have an antique desk complete with a netbook computer, luxury linens, fluffy towels, reading lamps, flat-screen TVs with over 60 channels, iPod docking stations and clock radios, antique wardrobes or walk-in closets, thermostats, and fireplaces. The en-suite bathrooms have soaker or claw foot tubs or custom showers, heated tile floors, gorgeous tile work, and chandeliers. There are also small fridges in each room stocked with snacks. You can even choose a room with a private kitchen or a skylight. Every floor of the home has balconies that show off views of Vancouver, Coal Harbour, Lions Gate Bridge, and the north shore mountains. Enjoy homemade cookies as well as tea and coffee at any time. The inn provides a concierge service and maps and there is an extensive DVD library. There are numerous restaurants serving breakfast within walking distance of the inn. Nelson House Bed And Breakfast delivers charm in a three-story home that dates back to 1907 and has plenty of character. Its location in the downtown area of West End means it is a very short walk to an incredible range of nearby attractions. There are five guestrooms to choose from as well as the Shangri-La Suite, which is designed for romance. There are small seating areas in the guestrooms and additional couches in the common areas. You can choose from a room with either an en-suite or shared bathroom. The innkeepers are happy to use their knowledge of the area to offer suggestions for activities or even to make reservations and book tours. You can also stay on the property and relax in the common areas. 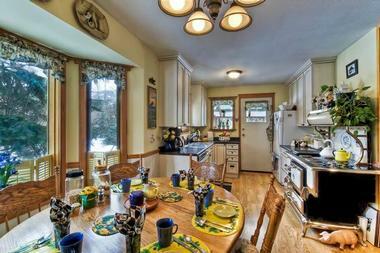 The home-style breakfast in the morning is both conversational and friendly. You can wait to enjoy a hot breakfast with fruit and more or have a continental breakfast if you need to be up and about early. 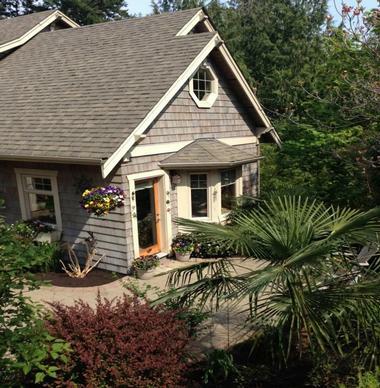 This bed and breakfast is in a single-level home surrounded by trees within the Cowichan Valley Wine Region. Each of the three guest rooms is spacious and non-smoking. The entire building has free wireless internet and every room has a small bar fridge, a private en-suite bathroom, a portable fan, CD clock radio, smoke detector, outside roll shutters, individual heat controls, house slippers, and supplies for making tea and coffee. There are even comfortable sitting areas to complement the cozy duvet and firm mattress. Some rooms also have Jacuzzi tubs, private entrances, small desks with chairs, and/or cozy leather club chairs. The rooms have a queen-sized bed, a king that can be converted into two twins, or a queen with a futon that becomes a double bed. Guests can explore and view wildlife in the nearly 40 acres worth of natural forest that is framed by the Shawnigan Creek on one side. There is also a deck filled with flowers and if you look carefully, you may see deer, birds, hummingbirds, owls, river otters, or even an elk. Those who prefer to stay inside can sit by the Russian fireplace in the Great Room or watch TV or a DVD. A full breakfast is served every morning in the dining room. 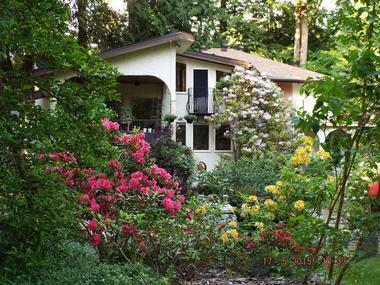 Hummingbird Lodge Bed and Breakfast is situated on Gabriola Island on the Southern Gulf of British Columbia, giving you the chance to connect with nature with a degree of privacy that is perfect for romance, relaxation, or fun. Each of the three rooms has its own full en-suite bathroom, private deck with furnishings, and sofa bed for a third guest. There are also built-in desks with views as well as skylights in the 16-foot vaulted ceilings. You can select a room with a queen or king-sized bed. There are also high-quality towels and linens, terry bathrobes, hairdryers, flowers, mints, and locally made soaps. There is wireless internet throughout and the property has extensive grounds for guests to explore; you might even spot some deer! The day begins with a delicious homemade breakfast using homegrown ingredients whenever possible, and special diets can be accommodated with notice. With 20 years in the industry, A Vista Villa specializes in providing truly romantic getaways for couples with just the right amount of privacy . There are four Jacuzzi suites for guests to choose from, each with slightly different décor. The en-suite bathrooms include fluffy towels and toiletries and the rooms have such amenities as TVs and coffee makers. You can choose from a room that leads right to a deck or one that is tucked away for complete privacy, allowing you to focus on your partner. There is a spacious garden with a gazebo and a saltwater pool. 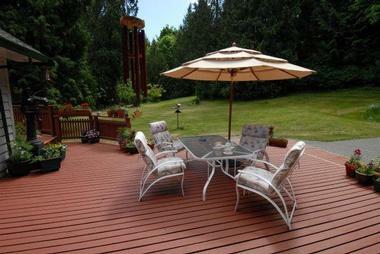 Between the garden and the deck, there is enough room for guests and special events can be held here as well. Other common areas include the various lounges spread throughout the building that let you cuddle up and enjoy some privacy. The Amante Luxury Bed and Breakfast is just minutes from the airport and ferries, however the peaceful surroundings make it feel like you are miles away from anything. You can hear birds singing and see the ferries in the distance. There are two suites, each with their own color scheme and décor. The rooms also have private patios and luxurious, upscale amenities such as two-person showers, two-person soaker tubs, cozy robes, and soft thick towels. Guests can relax in a private outdoor hot tub, ride bikes, or read a book. The inn has bikes for guests to use so you don’t have to bring your own along. The included breakfast is a three-course affair and is served via a private pass-through to give you extra privacy. During the high season, guests also receive a complimentary bottle of white or red wine upon arrival. Bear Tracks Whistler Chalet B&B is actually the closest chalet to Whistler village, making it a perfect choice. It attracts single travelers looking to relax, as well as couples, families, and those in search of outdoor activities. There are eight guest rooms to choose from, with sleeping arrangements that combine king, queen, and twin beds and one of the rooms even has a sofa bed, too. Rooms may also include private bathrooms with showers, large dressers, bedside tables, ornamental fireplaces, built-in wardrobes, locally crafted furniture, fridges, sofas, small tables with a chair, bay window seats, and full-length mirrors in addition to standard features like luggage racks and coat hangers. If you choose, you can include guided tours and other activities in your stay at Bear Tracks. Or just relax on the Jacuzzi that overlooks the gardens. There is wireless internet on site and enough storage for your equipment. A delicious breakfast is included in every stay and consists of a buffet-style continental meal along with a daily hot option such as eggs, pancakes, or French toast. Haddon House is centrally located and surrounded by the natural beauty of Deer Lake. This 4.5-star rated heritage home has been lovingly restored to include modern amenities and luxuries alongside classic elegance. The pillow top beds are perfect for relaxing after a full day of sightseeing and you can access wireless internet throughout the building. Each of the three suites has air conditioning, a sleigh bed, beauty products, a flat-screen TV, and private baths with in-floor heating, either en-suite or across the hall. You can also enjoy large windows, large armoires, armchairs, walk-in closets, antique-style fireplaces, soaker tubs, and a king or queen-sized bed. The inn has a library with a laptop, phone and printer, a guest pantry featuring a mini fridge and microwave, a tea and coffee maker, an iron and ironing board, games, and of course books, CDs, and DVDs. The living room has a fireplace, sofas, a piano, and impressive windows, or you can enjoy the large rear garden deck, garden, and two guest bicycles. A gourmet hot breakfast lets you start your day on the right foot and includes baked goods, fruit, tea, juice, and coffee. Alpenglow Bed & Breakfast is perfect for summer or winter with its wood-crafted rooms. The en-suite bathrooms in most rooms have in-floor heating, while amenities in the four guest rooms include down duvets, wooden night stands, built-in tables, armoires, hair dryer, bathrobes, TVs with DVD players, fridges, and decks, depending on the room. One set of suites is actually a pair of adjoining rooms for groups of up to five people. This is the only accommodation with a shared bathroom as the other two rooms share one facility. Guests can relax in the hot tub, the lounge area with a wood stove, the green garden, or the infra-red sauna. In the hallway outside the rooms, guests can use the fridge and freezer. At breakfast, guests are treated to fresh fruit, homemade breads, homemade canned jams, coffee, tea, and more.